Its that time of year again. Deer season starts November 2nd and we’re all getting ready. Feeder motors get switched out, rifle scopes get replaced and ammo gets purchased. Speaking of ammo, there is still a shortage going on and many hunters are faced with the situation of having to switch brands, grain weights or bullet types because they cant find the same kind of ammo they used last year. Re-sighting your rifle can be easily accomplished just by bringing it in to Glick Twins. We are shooting about twice a week this time of year and it’s always a good idea to check your zero before the hunt. If your feeder isn’t feeding, come by and we can get you fixed up with a new unit. We have replacement motors and other feeder parts. A new battery is a prudent thing to get this time of year and we have those too. Don’t forget your can of wasp killer when you go to check on your blind. Those little critters almost always find a way in. If you find you’re in need of a new blind this year, we can help. We have a huge selection of the coolest blinds out there. Come by and we can give you a tour. If a new rifle or scope is on the list this year, you’ll find we have a large selection of really good stuff. Ruger is making a great new rifle called the AMERICAN. Its synthetic stock is comfortable in the hand and sports an “accutrigger” type trigger for better accuracy. It comes with a detachable magazine and is very lightweight. Reports from customers who own them has been positive. Good accuracy and no failures. Probably best of all is the price…$375. Makes your wallet feel good! Savage is charging ahead with several new versions of their tried and true rifles. This year, the TROPHY HUNTER stands out AS A REALLY GOOD DEAL. It comes in several calibers and comes complete with a Nikon 3-9×40 prostaff scope already mounted for $529. 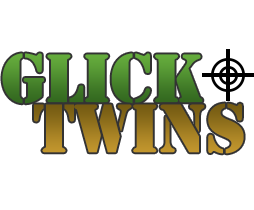 I could go on and on but the best thing for you to do is come on over to Glick Twins and take a look in person. We look forward to seeing you!